We are here to talk storage! There is always someone around who loves to talk storage, packing, and moving. Give us a call so we can discuss any of your storage center needs. 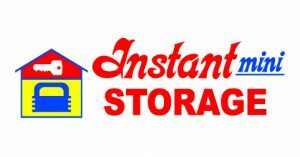 Whether you are moving to a smaller home and need a place to store your excess furniture or need storage for office items, Bakersfield Instant Mini Storage in Bakersfield, CA, is here to serve you. We offer security, convenience, easy payment options and a variety of storage sizes to suit your needs.